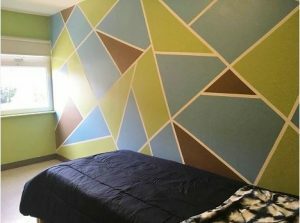 This summer members of the KJH Cares team were very pleased to roll up their sleeves and get to work painting bedrooms for an organization called “Youth Without Shelter”. Our task – create a welcoming environment with a sense of home for the youth living in the spaces. YWS is an emergency residence dedicated to providing shelter and support programs for homeless youth ages 16-24. Our group helped out with their “Stay-in-School” program which houses 20 youth, enrolled in school full-time. The program provides a safe and stable environment to live in as well as support and guidance from quality staff. With anywhere between 1,500 – 2,000 youth homeless in Toronto on any given night, the shelter is working hard to do their part and we were thrilled to be able to contribute in a small way to this worthy organization.